On Monday January 7, the Clemson Tigers cruised through the College Football Playoff national championship game, defeating the Alabama Crimson Tide by a final score of 44-16. These two well rounded football programs have met many times in the past, and this game like any other Alabama vs. Clemson matchup was bound to be a good one. 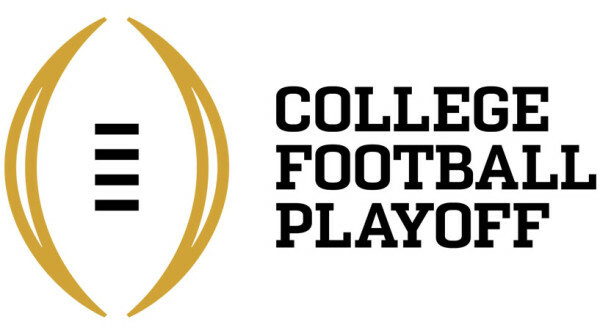 The College Football Playoffs are full of talent, and the end result is ultimately about which team plays better on a given night. These two programs, led by coaches Dabo Swinney and Nick Saban, have played in the last four championship games against each other and know what it takes to win. Unfortunately for the Crimson Tide and their fans, the Clemson Tigers showed up and were absolutely dominant. Neither team was predicted to win by a large margin, and many analysts before the game stated that either team could win with a margin of no more than 3-7 points. While the game was indeed a blowout, it was still a great game to watch, as Alabama simply does not get blown out. The first quarter of the game was extremely close, ending with Clemson up by only one point, and spectators ready to sit back and watch a dog fight. Not long into the second quarter it was evident which way the game was going, and Clemson began to take off. Alabama’s defense slowly crumbled, and the momentum shifted even more to the Tigers. Dabo Swinney and the Clemson Tigers went to the locker room at half with a comfortable lead of 31-16. While Clemson had a 15-point lead at half, it was only a two score, game and Nick Saban’s Crimson Tide could not be counted out of the game. Saban hoped that the Tigers would slow down after the half and that his Tide would start to roll, but this was not the case. The halftime show on Monday night was a very interesting performance. Imagine Dragons, who has a contract with ESPN and sings this past season’s college football anthem, “Natural”, performed with well renowned rapper, Lil Wayne. The performance was overall a good show, and it is likely that Imagine Dragons and Lil Wayne will perform again together, and maybe even produce together in the future. Social media and news outlets have pushed the game itself and the halftime show aside, and have focused on Lil Wayne’s outfit more than anything else. He is well known for his fashion sense and even has a song called “Colorful Clothes,” but his clothing choice was still a shock. Many people have commented on his outfit saying that he looks like the Hamburglar, E.T., a Disney Prince, and many other characters. After the half, the Clemson Tigers continued their stride and went on a 13-0 run in the second half to win the National Title by a final score of 44-16. This win for Clemson gave Dabo Swinney and the Tigers a 2-2 record against Alabama in the College Football Playoff. Clemson has a very young team and is expected to return even stronger next year than they were this past season. Clemson true freshmen Trevor Lawrence and Justyn Ross, greatly helped lead the Tigers to the championship and give the team a very bright future. Lawrence, the Tigers quarterback, put up amazing stats with 347 yards and 3 touchdown. Ross, a starting wide receiver, averaged over 25 yards per reception with 153 total yards and a touchdown. This College Football Playoff national championship showed a lot about the future of college football. The Clemson Tigers had many close games throughout the season, but they finished with a national championship and an undefeated record of 15-0. Next season should be very interesting, as Clemson shows dominance with a lot of very young talent.